This 21 acre, 2.7 million-square-foot mixed-use project includes office, apartments and retail uses surrounding a central park area and pedestrian boulevard to create a city sub-center in one of Kuala Lumpur’s major outlying districts. The competition winning design concept began with the metaphor of a hand fan—the simplest way to create personal comfort in a tropical climate. 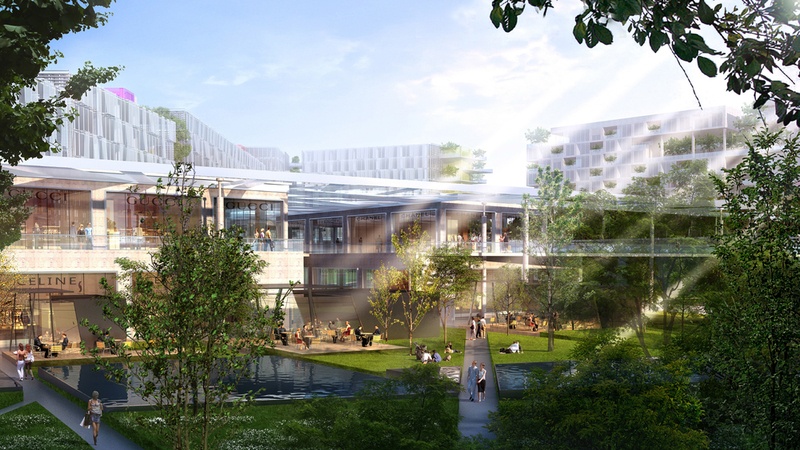 Informing the design from the urban block to the smallest detail, the fan metaphor extends beyond the project to the culture, climate and ecology of the region—an environment filled with shade and breeze anda truly Malaysian, walkable garden-filled character.